A taylor preparing parts of a suit in the bazaar of Bursa, Turkey. 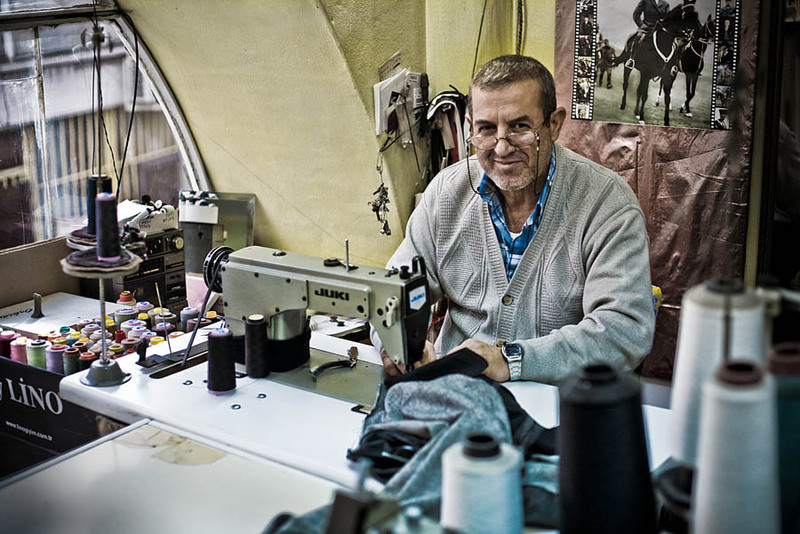 Bursa is famous for its textile factories so you can find some amazing textiles here for really good prices. Also The shop next door to Bahattin is hand making shirts. So within a few meters you can have a whole taylor made clothes made with superb materials. I will surely miss that back to France.